Welcome To DMM’s 9/19/16 Music Monday! Each week I comb through the Amazon Digital Music catalog to find a few bargain-priced gems to share. 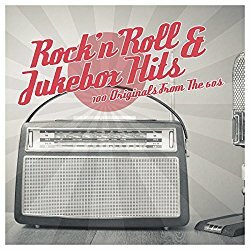 Today it’s collections of greatest hits from the 40s, 50s and 60s. 22 hits from such original artists as Billie Holliday, Jimmy Dorsey, Glenn Miller and more. Currently rated 4.5/5 stars, priced at $5.00. 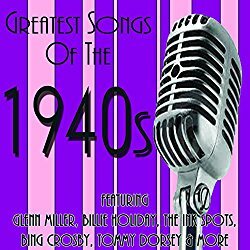 50 top chart hits from such original artists as Elvis Presley, Dean Martin, The Everly Brothers and more. Currently rated 4.5/5 stars, priced at $6.99. 100 hits from such original artists as Little Richard, Jerry Lee Lewis, The Coasters and more. Currently rated 4.5/5 stars, priced at $5.99. If you’re frustrated by the uncomfortable fit of regular earbuds (either so loose they fall out or so snug they create painful pressure in the ear canal), try Etymotic Research Isolator MK5 Noise-Isolating In-Ear Earphones. Currently (as of 9/18/16) rated 4/5 stars and priced at $59, these feature soft in-ear cups with a unique, graduated design that creates a seal to keep noise out while offering a custom, comfortable fit. Advertisements make it possible for Digital Media Mom to bring you great content for free, so thanks for your support.